You are here: Home > Blog > Flora & Fauna > Pollen picking bumblebees. It has been known for some time that bees and bumblebees are attracted to flowers by their colour(s), scent (volatile oils), shape, nectar and indeed electric fields (see recent post). 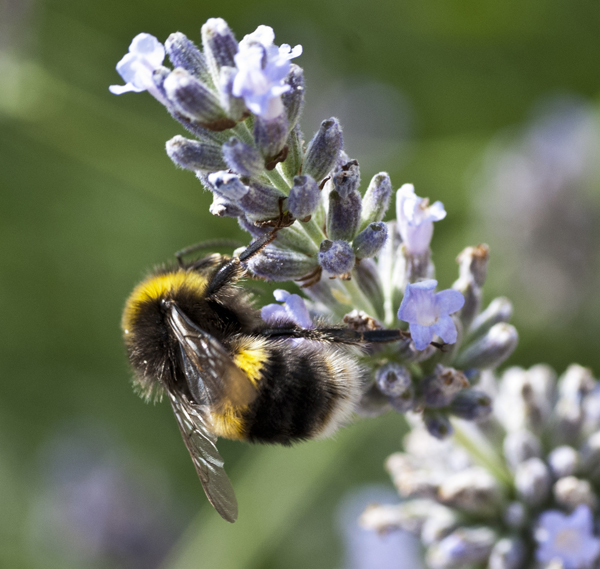 However, it has now been shown that bumblebees can pick a plant on the basis of the nutritional content of its pollen. Anthony Vaudo et al at the Centre for Pollinator Research (Penn State University) recorded the foraging patterns of bumblebees in defined outdoor areas, and then determined the chemical make-up (carbohydrate, protein and lipid levels) of the pollen from the different species present. They found that the bumblebees went for pollen with a high Protein:Lipid value. This is perhaps not surprising as other studies have shown that animals regulate / modify their diet according to the nutrients that they need. 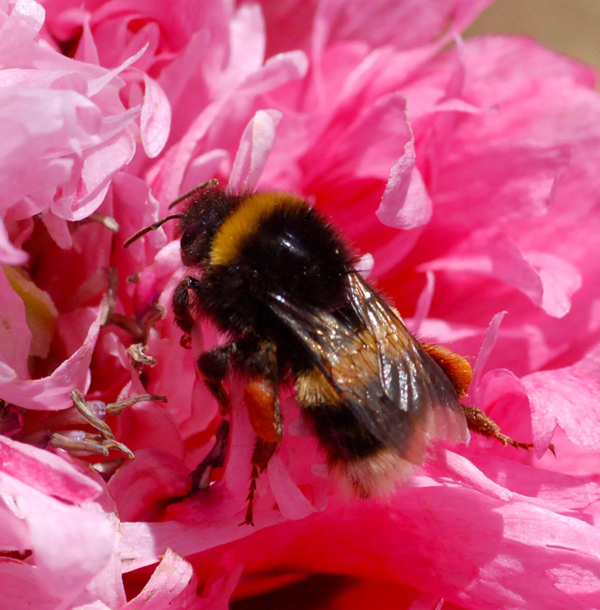 Bumblebees have carbohydrate in abundance - from nectar, which is sugar rich but they need to feed selectively on pollen to get the protein and lipid that they need. The field observations and results were confirmed by laboratory studies - in which bumblebees were placed in cages and offered different types of pollen but with no ‘floral clues’. Again they showed selectivity in their choices of pollen. It is thought the the bees get clues about the nutritional content of the pollen grains by tasting the chemical complex of the outer layer of the grain (this can include amino acids and fatty acids) - the pollenkitt. The pollenkitt is the outer, adhesive layer of a pollen grain. The bees have chemo-receptors on their antennae, which they use to ‘analyse’ the nature of the pollen. 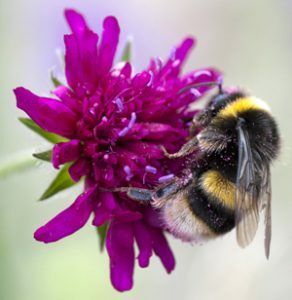 Christina Grozinger, Director of the Centre for Pollinator Research, has suggested that the identification of plants that provide high quality nutrition for bumblebees will assist in the creation of pollinator friendly gardens, and may help arrest the decline in bee populations (which may be associated with poor nutrition). i don’t plant specifically…..in fact, I just let the ‘grass grow (beneath my feet)’ and each year there are more and more diverse wildflowers (4 varieties of Orchids) but whilst this year has been poor so far for Moths and Butterflies, I still take comfort from the constant buzz of the bees, even if they are less noticeable than the others. The life cycle of bumblebees (Part 1).